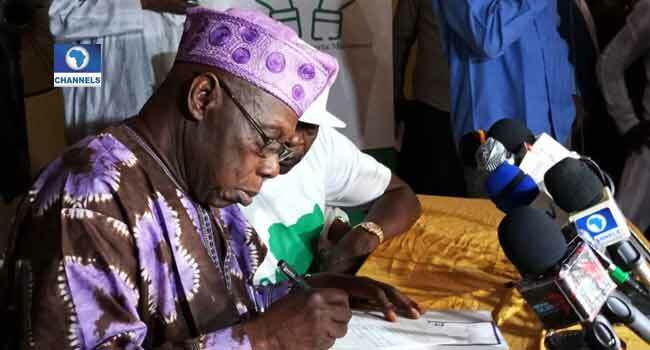 Former Nigerian President Olusegun Obasanjo has formally registered as a member of the Coalition For Nigeria Movement, the group he called for to help Nigeria overcome the myriad of challenges it is facing. Obasanjo had called for the movement in his lengthy statement criticising the performance of President Muhammadu Buhari and his administration. He had also advised the President against seeking reelection despite calls by his supporters to do so. For Obasanjo, who likened the All Progressives Congress and the Peoples Democratic Party to “two evils”, the only way out for the country is a new movement. His absence at Wednesday’s launch of the coalition in Abuja had led to questions about his involvement with the group. But his registration as a member of the group on Thursday has put an end to speculations about whether he would be part of the movement. “We need a Coalition for Nigeria, CN. Such a Movement at this juncture needs not be a political party but one to which all well-meaning Nigerians can belong. That Movement must be a coalition for democracy, good governance, social and economic well-being and progress,” Obasanjo had written in his explosive statement. A former PDP governor, Olagunsoye Oyinlola said at the launch of the new movement that it was not a political party. Oyinlola, a former governor of Osun State, is not the only former PDP governor in the coalition. Former Cross River State Governor, Mr Donald Duke, also attended the launch. 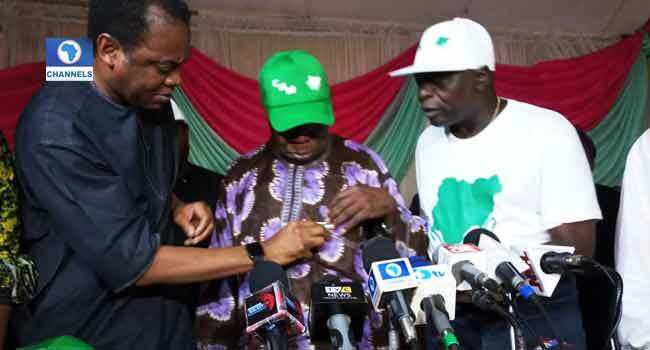 Membership of the coalition is open to all Nigerians above 18 years old, according to a member of its steering committee, Mr Omoruyi Edogiawerie. “What resonates between you and I, is the fact that we want a better nation. Our nation needs to be shored up by we the people,” Edogiawerie said on Tuesday during an interview on Channels Television’s breakfast programme Sunrise Daily.